We are successfully meeting the varied needs of our patrons by offering a wide gamut of PLC Control System as per their precise needs. Supply: Single phase 230 VAC, 50 Hz. PPLC Elite is a pre programmed logic controller. Generic Embedded Controller. 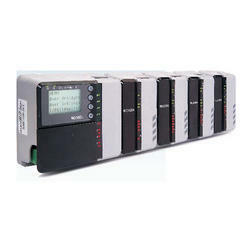 General Purpose pre-programmed PLC with 9 Digital inputs, 1 Analog input, 8 Digital outputs. 9 digital inputs. Signal range of 5 to 24 V.
Optically isolated. Protection against electrical noise. We are reckoned entity, actively occupied in providing a high-quality series of PLC VFD MCC Panel Scada System. These are available at nominal prices. We have been counted amongst the most trusted names in this domain, involved in providing PLC Based Automation Service. Manufactured in compliance with the most stringent quality and environmental standards, our products are specifically suited for integration in a wide range of applications such as waste and water treatment, access control, renewable energies, building equipment, industrial machines and transportation. 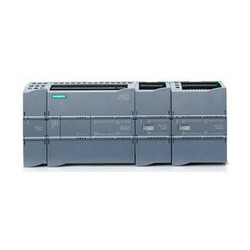 Delta, Schneider, siemens, ABB, AB all brand plc available programming and commissioning support. - We are doing repairing job for all types of DCS Control cards, System Cards, Input-Out Put Cards, LCN Cards Alarm and all other cards and we have special test zing to test all this cards at our work shop. - ABB August PLC 3300 Series DI, DO, CPU, Power Supply and other Cards. I-Tech Avionics is dedicated to the development of airborne and ground based systems based on their rich experience. We follow standards in processes and procedures in every stage of development to ensure high quality and delivery on time.